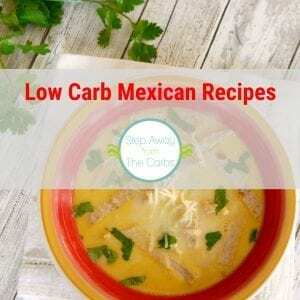 Want to know more about zero carb shirataki noodles? Here’s what you need to know! I’ve been eating shirataki noodles for years now. 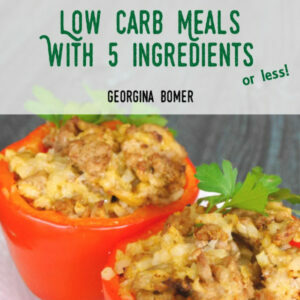 If you’re following a low carb diet and you’ve never tried them, keep on reading! Shirataki are thin, translucent, gelatinous traditional Japanese noodles made from the konjac yam (devil’s tongue yam or elephant yam). The word “shirataki” means “white waterfall”, describing the appearance of these noodles. Largely composed of water and glucomannan, a water-soluble dietary fiber, they are very low in carbohydrates and calories, and have little flavor of their own. The three ingredients of our shirataki noodles are Glucomannan, which is soluble fiber extracted from the root of a Japanese plant called a Konnyaku Imo, water and a calcium additive. This calcium additive is added to the noodles to keep their shape intact. This is a food grade calcium additive known as pickling lime or calcium hydroxide. The noodles contain no soy, tofu, gluten/casein, legume or gluten. As Wikipedia mentions, they have very little taste of their own. There is often a slight smell to the noodles when you open the bag, but the cooking process gets rid of this. After that, they can be eaten plain or as an amazing vehicle for any kind of flavors you want to try! The ocean-like scent comes from a combination of konnyaku (a root native to Asia) and the natural alkaline water used to keep Skinny Noodles and “Rice” fresh and shelf-stable with no preservatives. The scent does not mean there is anything wrong with the products. 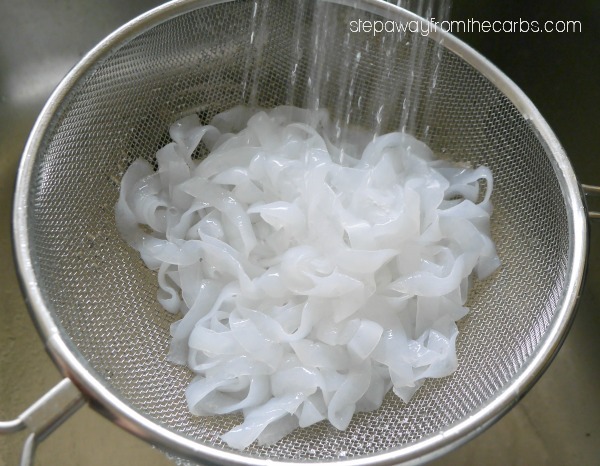 When you drain and rinse Skinny Noodles and “Rice” thoroughly, the scent disappears completely and leaves behind no taste. If you like, you can add a drop or two of vinegar to the water used to rinse Skinny Noodles and “Rice”; rinse until the vinegar scent is removed and drain thoroughly. Are they like pasta noodles? There are MANY shape varieties of shirataki noodle: fettuccini, ziti, angel hair, capellini and even rice! Taste I mentioned above – not really as interesting as pasta, because it is missing the egg element. As for texture, it depends on what you do with the noodles. On the whole they do feel a little more gelatinous than regular pasta, but it isn’t too dissimilar! Are they difficult to prepare and cook? No! Open bag. Rinse. Cook in boiling water for two minutes. Drain. Dry fry or add to dish of choice. Where do I buy them from? Many supermarkets are stocking them but because some brands require refrigeration it can be hard to track down since no-one knows quite where to put them. I’ve often found them near the tofu section, if you can find that! Although I should note the Miracle Noodles only need to be refrigerated after opening. However, I find prices are usually better online and because I eat a lot of them I prefer to have as many different types as I can! A great way to start is this Variety Sampler pack from Miracle Noodle, containing two bags of six different kinds of shirataki noodle. Skinny Noodles offer a 10 pack sampler – which is perfect for finding out which is your favorite! New offer! 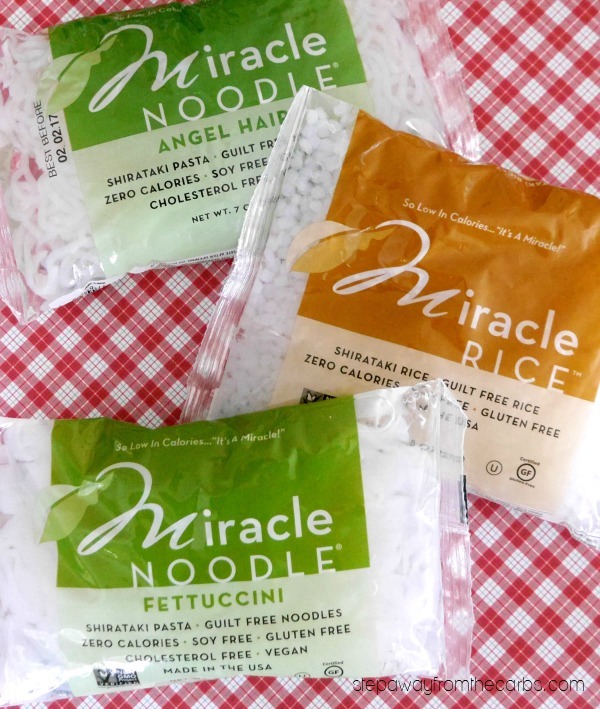 Get 10% off when you order from Miracle Noodles direct! Use coupon code “AFF10” on checkout to get your discount! Are they low in carbohydrates? Ohhhh yes! In fact it is a zero carb product! 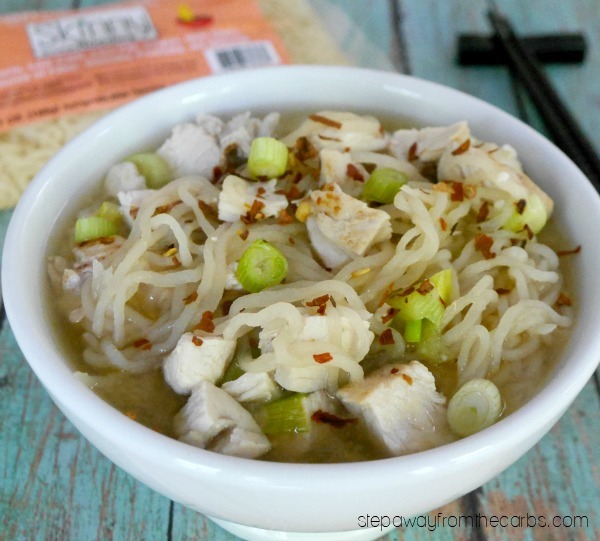 How do I use shirataki noodles in my meals? The simplest way is to treat them as a plain side dish to any meat or fish dish that you are cooking. After rinsing and soaking in boiling water, dry fry them in a pan then add some butter. See my recipe for amazing Buttery Zero Carb Noodles! 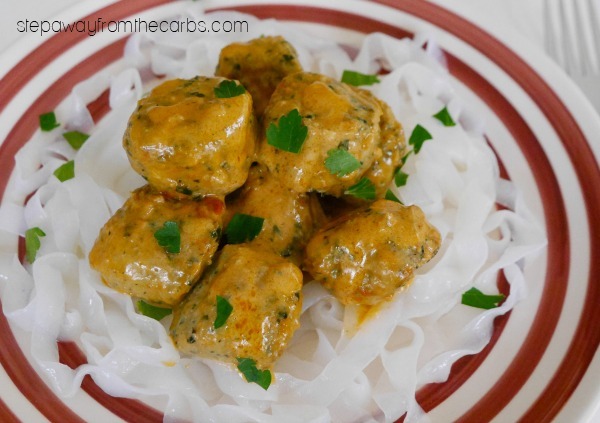 They work well as an accompaniment to so many dishes – these are meatballs cooked in a mixture of heavy cream and tomato paste. 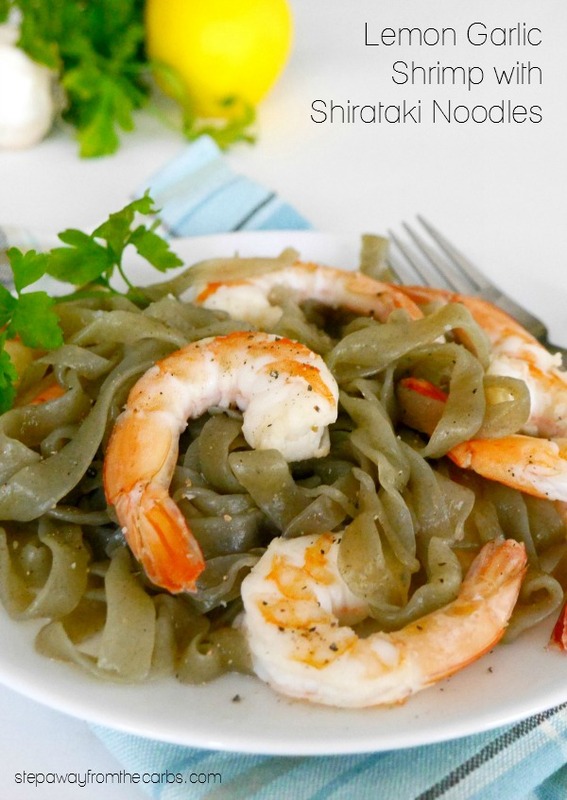 You can also buy a SPINACH version – check out this recipe for Lemon Garlic Shrimp with Shirataki Noodles! I *love* Miracle Rice! I actually find it easier to eat the whole pack of this – but hey, it is still zero carbs! 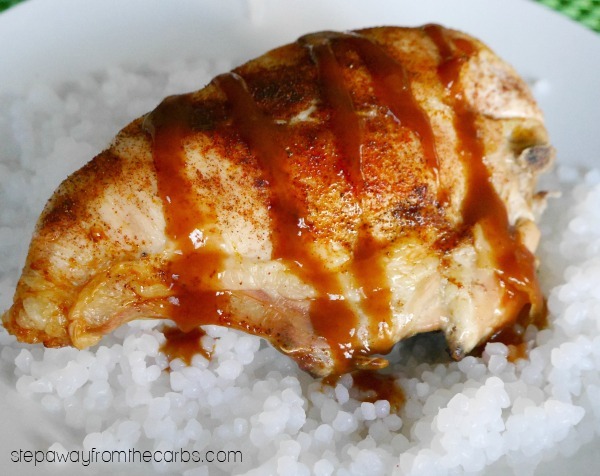 This is the Miracle Rice served with a chicken breast on the bone that has been drizzled with Guy’s BBQ Sauce – which you HAVE to try if you haven’t already! And you can even make rice pudding with shirataki rice! 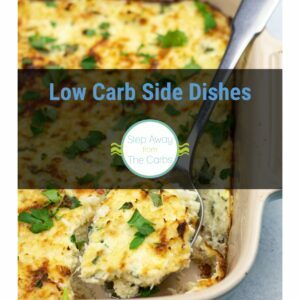 Check out this recipe from Low Carb Yum! 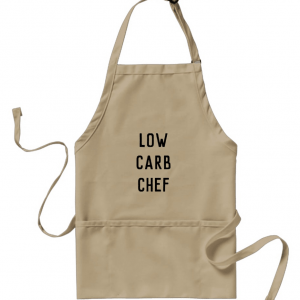 Perfect for making low carb spaghetti and meatballs! I really miss eating ramen! Don’t worry, Skinny Noodles has the perfect product for you! These are their ramen-style shirataki noodles shown below – I have added cooked chicken, green onions, and red pepper flakes! 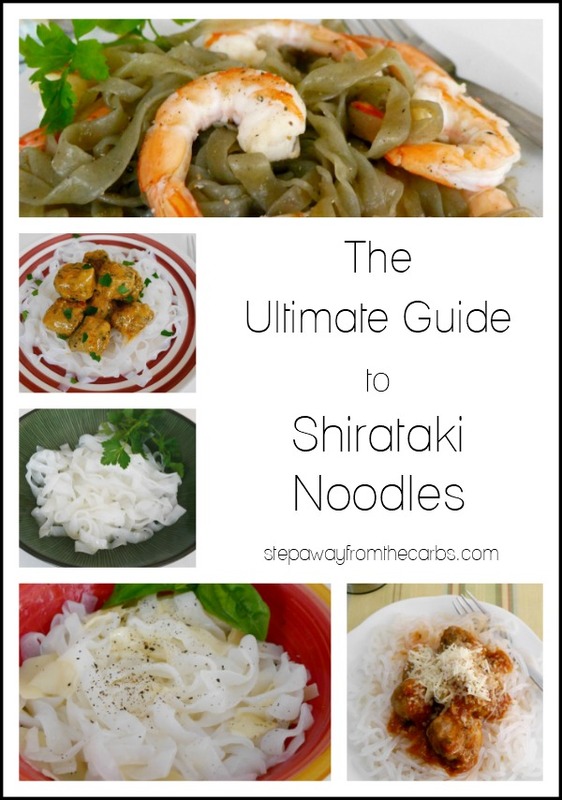 Looking for more shirataki noodle inspiration? Check out these 10 recipes from All Natural Ideas! Can anyone tell me which stores may carry these in Canada? Or can we only order them online? Thx! I also love noodles from Miracle Noodle. a rice texture to cauli-rice dishes. That’s a fantastic tip, thanks Mary! The taste of the noodles (barely there) is fine, but the spaghetti shirataki noodles I tried were way too soft, and I can’t eat soft noodles. Are the styles all so squishy? If so, does anyone know of a way to firm them up before I use them? The ziti pasta from Miracle Noodle is slightly less soft – maybe try that? Yes. Dry them out really well using cloth or paper towels, pan fry to cook off water and sear or crisp if you like. I love these with eggs and greens for breakfast.